If you’re looking for a winning combination then the appearance of a wild is always going to be a great sight. This is a designated symbol in the game, usually the main theme character and can substitute for any of the other symbols apart mainly from scatter and bonus symbols. This can be really useful and get you some tasty winning combinations and take away the disappointment felt when you find yourself one symbol short of a winning combination. Wilds come in many forms now in the ever-changing world of slot games. There are sticky wilds and shifting wilds and then there are the expanding wilds. Now these really are a godsend when featured in a slot game. Here’s how they can help you win some great prizes. The wild symbol doesn’t just stay where it is and help create winning combinations. It can appear on one reel and then expand and cover the entire reel. That means even more chance of getting plenty of winning combinations. Once the wild has expanded to cover the entire reel the game will reassess the new situation on the reels and work out how man winning combinations there now are on the reels. So as you can see it really is an important feature. As the graphics in slot games continual to develop, the expanding wild can be a spectacular sight. It’s great to see the wild symbol suddenly expand to cover the whole reel. 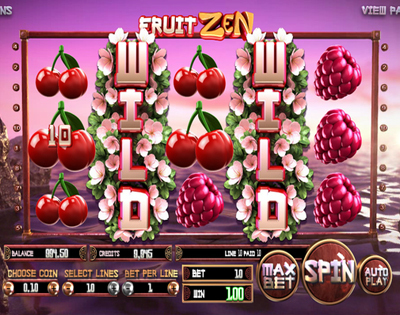 For example in the ‘Fruit Zen’ game from BetSoft which is a popular 3D slot game, the Fruit Zen symbol is the wild in the game. When you enter the bonus game it becomes an expanding wild and the entire reel that it lands on becomes wild. Then it’s just a case of counting your impressive winnings. With such a useful feature such as this, the game designers aren’t going to always make it too easy for them to be triggered. That’s why they sometimes only occur on a certain number of the reels. Remember most times they occur only in the bonus game so that has to be triggered in the first place. That can mean having to get a certain number of scatter, bonus or free spins symbols on the reels. In ‘Hitman’ from Microgaming, the expanding wild only appears on the second, third and fourth reels during the bonus game. Again this is the icing on the cake as more and more wins can be obtained when this happens. 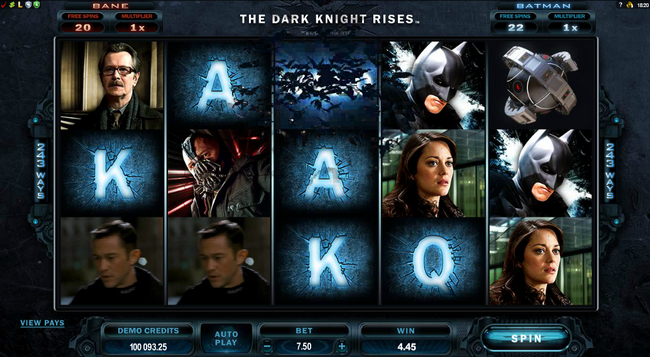 Batman fans will love the Microgaming slot ‘The Dark Knight Rises.’ Not just because it features their favourite superhero but because of its expanding wild feature. Here there’s a bat symbol that doesn’t need a bonus game to be triggered to come into play. Instead it can be randomly triggered but only on the third of the five reels. As you can see therefore, playing a game with an expanding wild really does add excitement to the game, especially when randomly triggered.